Today, Nintendo continued to build out the NES library in its Switch Online app with the previously-announced addition of NES Open Tournament Golf, Solomon’s Key, and Super Dodge Ball. But it also had a surprise: “Living the life of luxury!,” a hacked save file for The Legend of Zelda that starts players out with a full inventory and lots of cash.. The original Zelda famously starts you off with nothing but three hearts of health and a shield. A man in a nearby cave tells Link “it’s dangerous to go alone” and gives him a sword. From there, you’re allowed to explore wherever you want, acquiring more items and equipment as you hunt through dungeons for pieces of the Triforce. “Living the life of luxury!” which Nintendo is calling “special save data,” instead starts you off with the game’s stronger White Sword, Magical Shield, Blue Ring and Power Bracelet, Blue Candle, a Red Potion, a piece of meat, and three extra heart containers, in addition to a full bag of rupees, bombs, and keys. It’s somewhere between an easy mode and a new game plus—you still need to complete all the dungeons and find most of the game’s items, but with a generous wind at your back. “Living the life of luxury!” basically amounts to a ROM hack, early console gaming’s version of mods. Even the title seems to be playing around with this idea, alluding to what some amateur developer would have called their homebrew project on a forum rather than official Nintendo product copy. 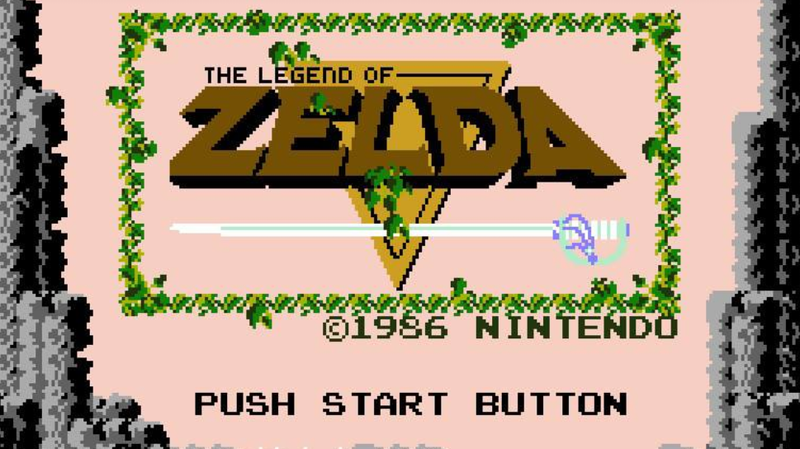 The Legend of Zelda specifically has had a number of ROM hacks floating around over the years. The Legend of Zelda Pocket Edition is a pretty straightforward one which makes the original game look more like the series’ Game Boy Color entries. Others, like The Legend of Zelda Outlands, tweak basically everything in the game, with an overhauled world map and redesigned dungeons. It’s an entirely different game for the most part, but reflected through the lens of the original, sort of like fan remixes before Super Mario Maker made them official. While it seems far-fetched that Nintendo would add special saves that are that complex, it would still be great to see Switch Online’s NES library find some inspiration in the original console’s homebrew past. In a press release today, Nintendo stated that that other games would be getting special save data as well in the future, calling them “fun new entry points into fan-favorite games,” though it didn’t specify which ones or when. In terms of giving you extra resources and power ups at the start, Metroid, which Nintendo is adding next month, seems like an obvious candidate, especially given how brutal it is to start and how much that discourages people from working to get to the much more interesting parts later on. Or Nintendo could go wild and add a special save that makes the game extra hard or lets Samus jump twice as high. Something more ambitious in the vein of a ROM hack called Metroid Deluxe, basically that game’s version of The Legend of Zelda’s harder Second Quest, would also be great. Since the Switch’s version of the Virtual Console is an ongoing subscription service that doesn’t make people pay for individual games, it opens up a lot more room for Nintendo to do weird experiments like this. Hopefully the next batch gets even stranger.